ESA astronaut Alexander Gerst is set for a six-month stay on the International Space Station in 2014. His mission came one step closer today when the mission patch was revealed at the European Astronaut Centre during German Space Day in Cologne, Germany. Alex is leaving Earth from Baikonur cosmodrome in Kazakhstan 28 May 2014. He will fly on a Soyuz spacecraft to the International Space Station with Russian cosmonaut Maxim Viktorovich Surayev and NASA astronaut Gregory Reid Wiseman. The mission logo is inspired by an image of Earth taken by NASA's Voyager spacecraft as it travelled six billion kilometres from our planet. American astronomer Carl Sagan described our faintly visible planet on the photograph as "a pale blue dot". During his 166-day mission the next ESA astronaut to fly to space has an extensive scientific programme planned running around 40 experiments in materials physics, human physiology, radiation biology, solar research, biotechnology, fluid physics, astrophysics and technology demonstrations. All experiments are designed to improve life on Earth and prepare further exploration projects. A highlight of Expedition 40/41 is the electromagnetic levitator furnace which keeps molten metal suspended in microgravity for measurements. On Earth many readings in furnaces are hampered by the mold holding the metal so characteristics cannot be analysed without interference. The results of this experiment promise to improve industrial casting processes and might allow for more delicate and fine castings. After conquering remote mountains and working in Antarctica, the geophysicist and volcanologist will become the third German to visit the Station. His mission has the theme 'shaping the future' and will include an educational programme to inspire the next generation of engineers and scientists. 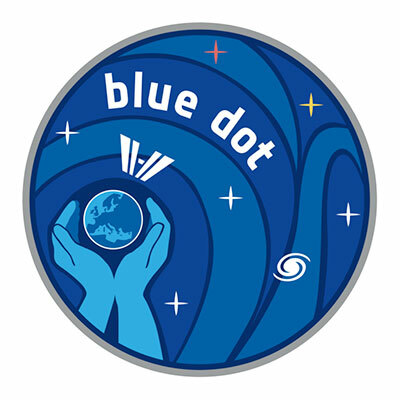 Soon to launch, ESA astronaut Alex Gerst will begin his Blue Dot mission on Soyuz to the International Space Station. 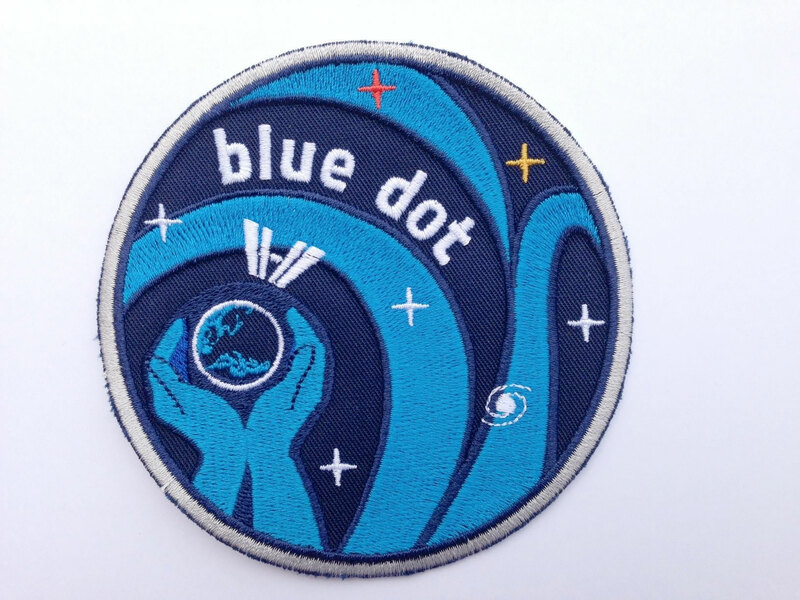 ESA Blue Dot mission patches are now available from one of ESA's official licensed suppliers, Quadrotem GmbH. The patches are 10 cm in diameter and embroidered in 9 colours. Price per patch is 8 Euro (plus 2 Euro postage per order in Europe), PayPal payment is possible via the address whenning@quadrotem.de. For international orders, please contact Quadrotem directly at the given email address for details and costs. Carl, thank you for posting the information on where/how to obtain this patch. This is a particularly useful posting. Our suppliers have just updated their web page with all ordering details. 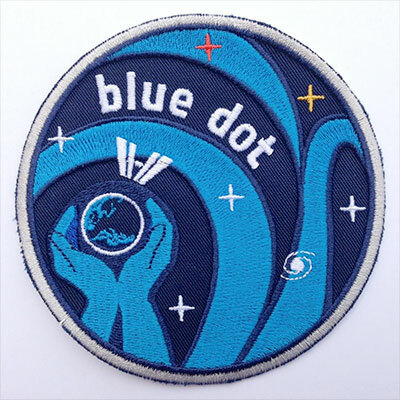 As of this month (December 2017) AB Emblem have produced a fully embroidered version of this 'TMA-13M Blue Dot' patch and listed it on their website. With patch design number 287672 Made In USA ?/17/20 (Date code to be confirmed). I see that AB Emblem have now withdrawn their Soyuz TMA-13M "Blue Dot" patches from sale on their website.